I was on my High School swim team for two years and that led me to want to teach. I started teaching at my local YMCA and enjoy teaching students of all ages. I am an outgoing person and enjoy when parents are a part of the swim lesson experience. I welcome parents to ask any questions about their child’s progress and let me know what their goals are. I am a patient and caring teacher who likes to focus on technique although I am very serious when it comes to pool safety. I want all my students to have fun while still being safe in the water. One important thing that I teach is correct forms of breathing while in water and I always make sure my students are blowing bubbles when they need to be. I like to point out things that should be changed and personally show them how they can make their stroke better. I want to make all my lessons enjoyable so none of my students feel anxious about being in a pool. My favorite level to teach is beginners and for the safety of my students I find it important that all students who don’t know how to swim should remain seated on the wall while I am demonstrating what they should be doing. For students who are weak swimmers they should remain with two hands on the wall during demonstrations. Survival skills are the first thing any swimmer should learn. I always start off by teaching beginners how to tread water, back float, and doggy paddle. I want to make sure all of my students are engaged in my lesson and will be a little silly if it will help turn any frown upside down. 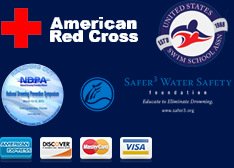 I am willing to do everything in my power to help a parent reach their child’s swimming goals. I understand that some parents want their kids to swimming on their own and be at the top quickly but I think it is key to be patient and make sure that all students understand all the strokes and safety techniques. I am here to help all my students be the best swimmers that they can be.